"The theft here was blatant and intentional." According to a lawsuit filed yesterday in the U.S. district court for North California, the Elon Musk-led electric car company Tesla is accusing four former employees of stealing proprietary information and trade secrets — and handing the material over to Zoox, a rival self-driving transport startup. More than 100 former Tesla employees now work for Zoox, according to BI‘s reporting, which is now valued at $3.2 billion. As per the lawsuit, the employees signed a non-disclosure agreement to keep Tesla information confidential and within one year of leaving the company. The story is still developing. Neither Zoox nor Tesla have yet made public statements regarding the lawsuit. 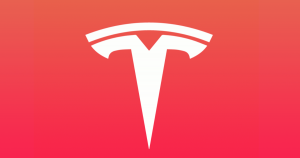 “While Tesla respects that employees may decide to pursue other employment opportunities, it must take action when current and former employees abuse their positions of trust and blatantly violate their legal and contractual obligations to Tesla,” read the filing.